Find a gorgeous, retro-inspired glow with this 1-light ceiling semi-flush mount light. 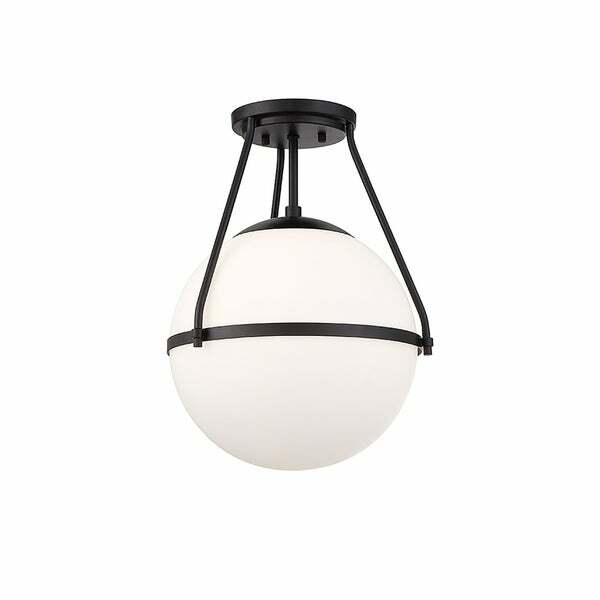 Its orb shade of white opal glass wears a thin metal band accent perfectly to add another little touch of style. Matte black finish. "What is the dimension of the orb?"